All our eyelets and rings are manufactured in brass. All can be plated in various colours. Our curtain eyelets are used across an enormous range of curtains & blind applications, from the largest curtain sided transport trailers to the smallest curtains & blinds for windows. 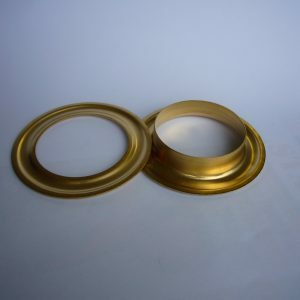 The wide variety of curtain eyelet rings in our range means that we always have a product that is suitable for your curtain or blind application, no matter how big or small.